“I’m hooked.” I gravitate toward patterns creating design, stitches manipulating tension and the unpredictability of motifs determined by the placement color. I am determined to manipulate yarn with a reasonable amount of preparation and a minimal amount of blood, sweat and tears. So with that being said, I purchased four more skeins of Craftsmart yarn in Color #15 Sangria. 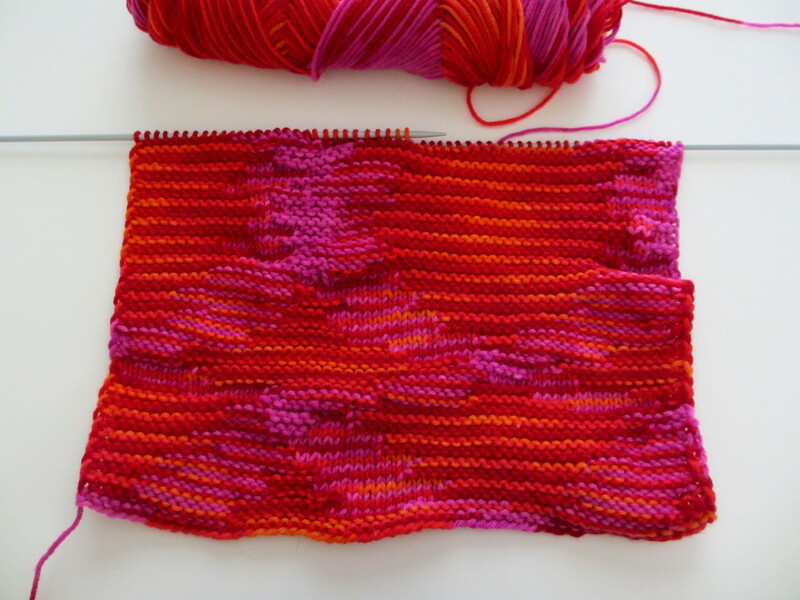 Purl stitches change the tension of the piece, commonly referred to “uneven tension” in the knitting world. 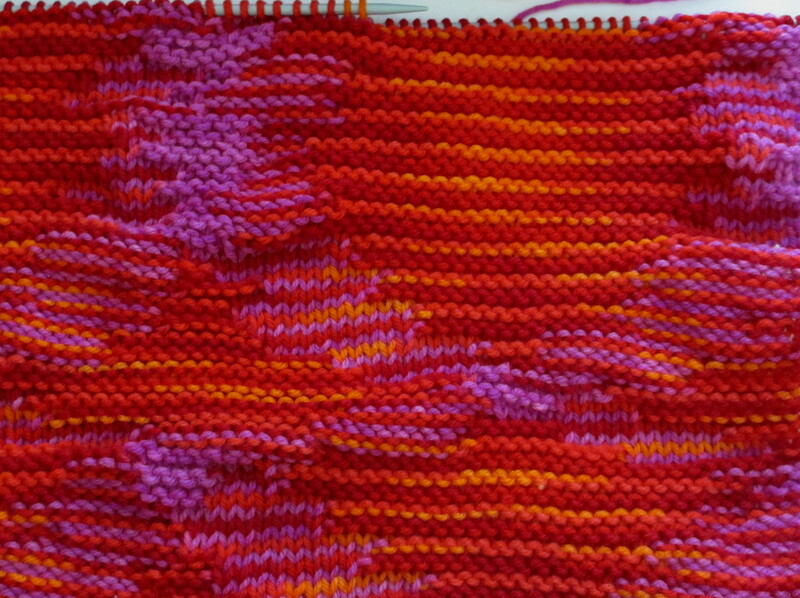 The random puckering of the surface adds visual interest to the piece, an uneveness, “topography on purpose.” I plan on knitting four squares, joining each square into a garment displaying a topographical relief of peaks and valleys.